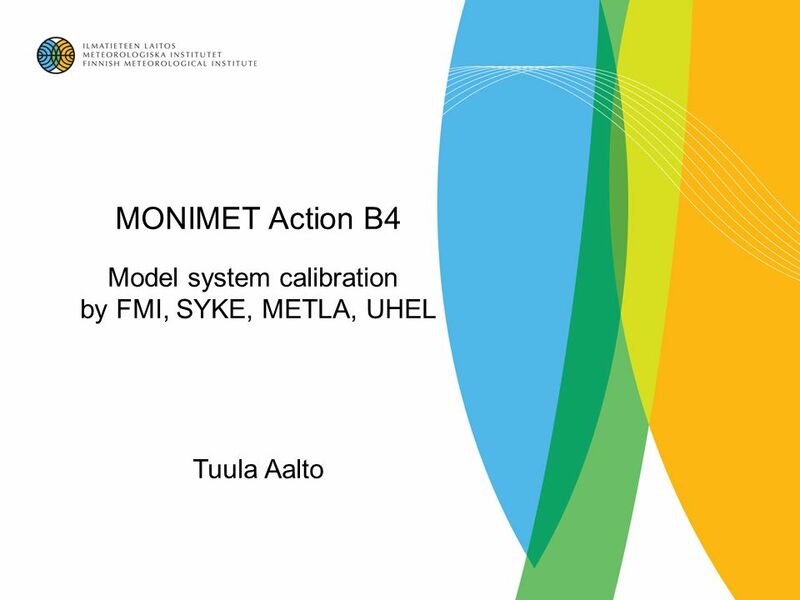 MONIMET Action B4 Model system calibration by FMI, SYKE, METLA, UHEL Tuula Aalto. 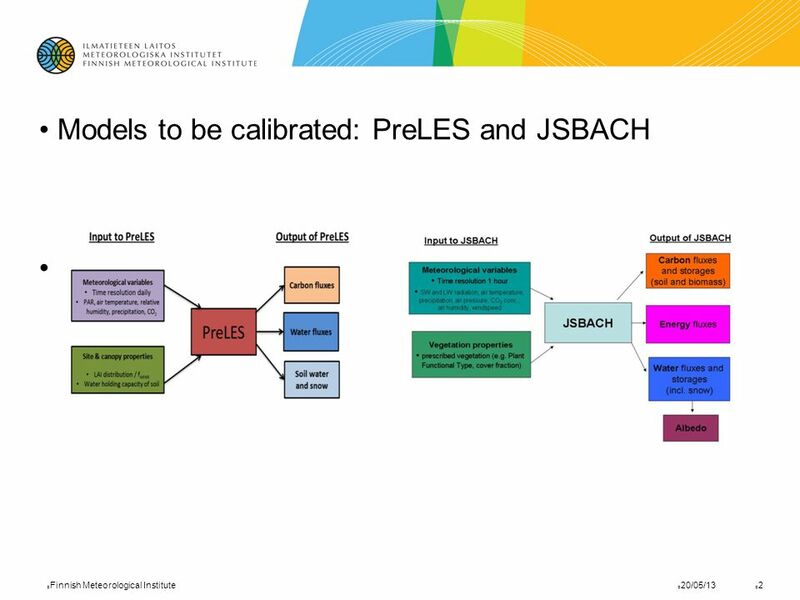 Download ppt "MONIMET Action B4 Model system calibration by FMI, SYKE, METLA, UHEL Tuula Aalto." 2010 update of GCOS IP in support of UNFCCC Paul Mason and Stephan Bojinski GCOS Steering Committee September 2010. 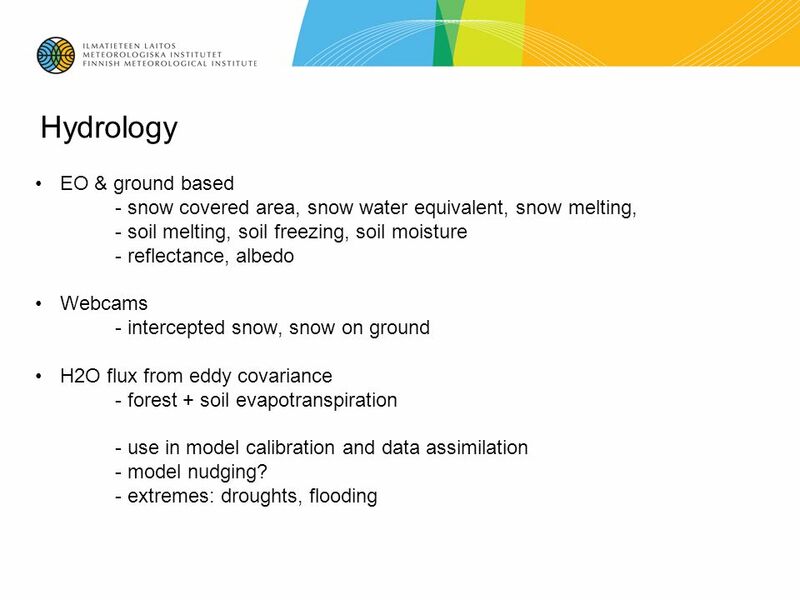 Satellite data products to support climate modelling: Phenology & Snow Cover Kristin Böttcher, Sari Metsämäki, Olli-Pekka Mattila, Mikko Kervinen, Mika. Land Surface Evaporation 1. Key research issues 2. What we learnt from OASIS 3. 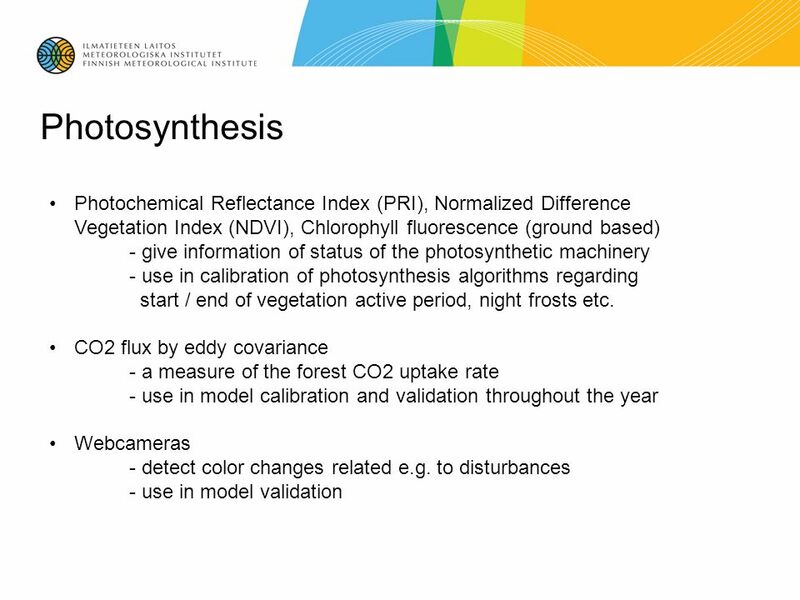 Land surface evaporation using remote sensing 4. Data requirements Helen. PHYSICALLY BASED MODELING OF EXTREME FLOOD GENERATION AND ASSESSMENT OF FLOOD RISK L. S. Kuchment, A. N. Gelfan and V. N. Demidov Water Problems Institute. MODIS The MODerate-resolution Imaging Spectroradiometer (MODIS ) Kirsten de Beurs. SKYE INSTRUMENTS LTD Llandrindod Wells, United Kingdom.  Floods and droughts are the most important hydrological disturbances in intermittent streams.  The concept of hydrological disturbance is strongly. 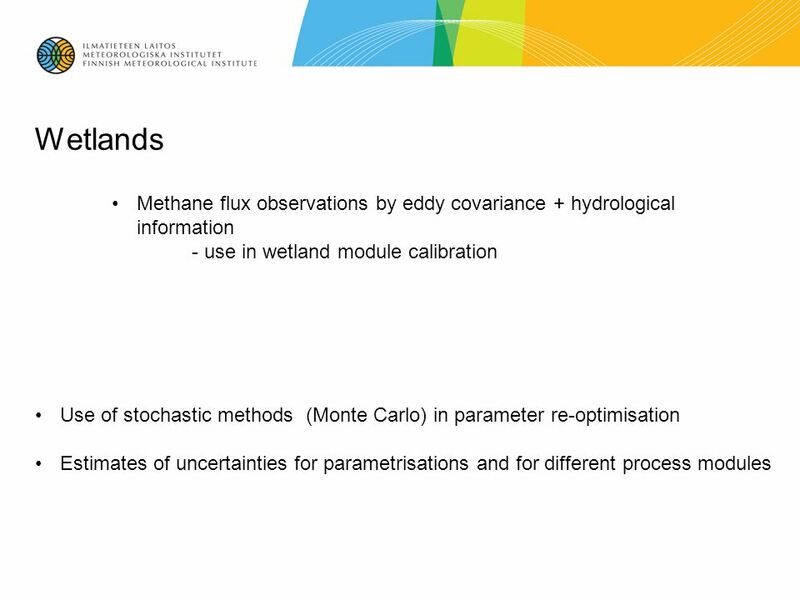 MODIS Science Team Meeting - 18 – 20 May Routine Mapping of Land-surface Carbon, Water and Energy Fluxes at Field to Regional Scales by Fusing Multi-scale. 03/06/2015 Modelling of regional CO2 balance Tiina Markkanen with Tuula Aalto, Tea Thum, Jouni Susiluoto and Niina Puttonen. GEWEX MOTIVATIONS FOR LANDFLUX ACTIVITY SUMMARY DISCUSSION -- DRAFT May 2007. Hydrological Modeling FISH 513 April 10, Overview: What is wrong with simple statistical regressions of hydrologic response on impervious area? 4. Testing the LAI model To accurately fit a model to a large data set, as in the case of the global-scale space-borne LAI data, there is a need for an. LIFE07 ENV/FIN/ SNOWCARBO Stakeholder Meeting Helsinki-Finland. 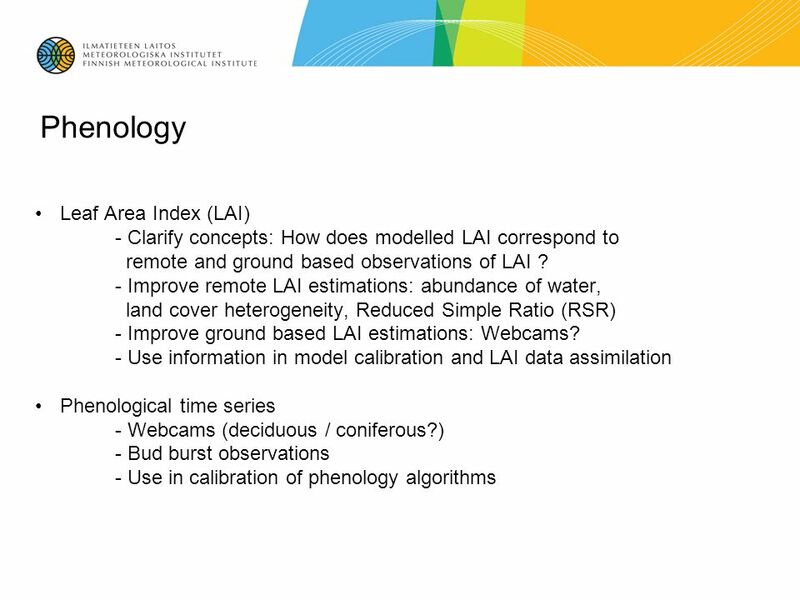 Refine and integrate linked hydrological/ecological models with remote sensing products: leaf area index, wetland maps, seasonal flooding, water boundaries. CSIRO LAND and WATER Estimation of Spatial Actual Evapotranspiration to Close Water Balance in Irrigation Systems 1- Key Research Issues 2- Evapotranspiration. 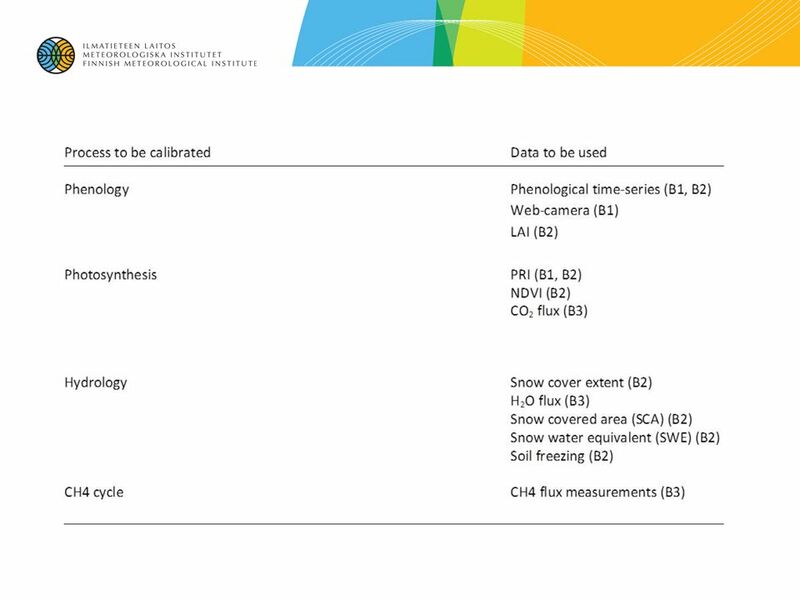 2 Climate Change Indicators and Vulnerability of Boreal Zone Applying Innovative Observation and Modeling Techniques MONIMET LIFE12 ENV/FI/000409 PROJECT.